Fighting zombies can be tough - even an arrow through the eyeball barely slows them down! 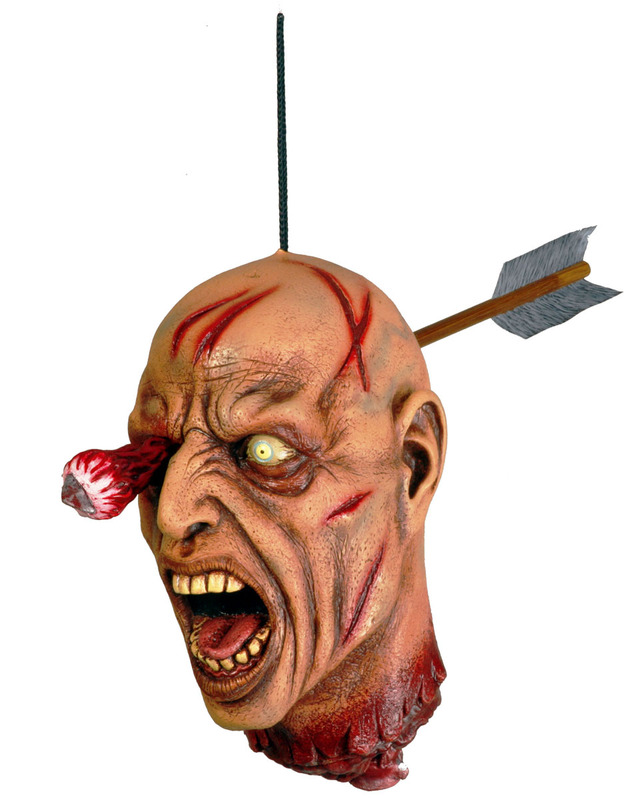 Hang this severed zombie Arrow Thru Head prop and take a few pot shots at anyone who dares to look twice at you. Get your very own Arrow Thru Head Hanging Prop or view more Zombie Halloween Party Props & Decorations right now!